This is almost lifesize - this medal is HUGE!!!!! Anotber race already? Haha! Didn't I just finish a race last weekend? 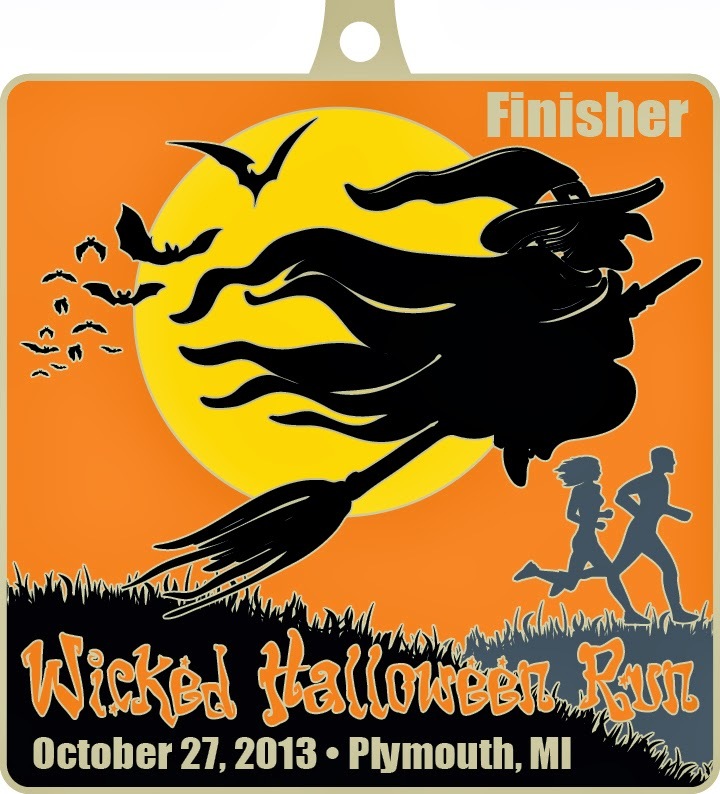 Yes, I did and I'm racing again on Sunday for the third annual Wicked Halloween Run. The race is expecting over 5,200 people in Plymouth. Yes, this is going to be one big Halloween party! Actually the largest Halloween race in Michigan. I can't wait for this one. 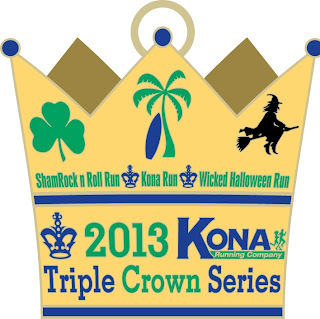 Of course, I can't wait for every race but this one is going to be extra special because not only will I earn the Wicked Halloween 10k medal but this is also the third race in the Triple Crown medal series so I will walk away with a second medal for running ShamRock n Roll Run, Kona Run and Wicked Halloween all in the same year!!!!! 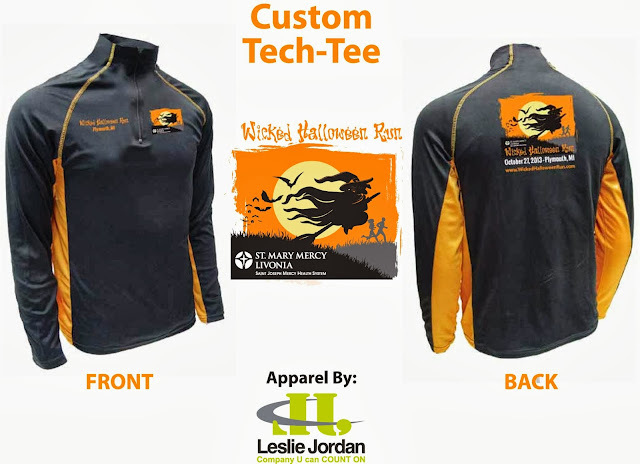 This is also the first year that Kona is giving away a 1/4 zip running tech shirt which has an awesome design! For me, it will also be a Kona Running Company weekend as I'll also be volunteering at packet pickup today from 10am to 1pm. If you come to get your packet then, stop by and say hello! Of course, I'll have a full review after the race. If you want to join me in this race, consider running the 5k or 1 mile as the 10k is completely sold out. I hope to see you this weekend! 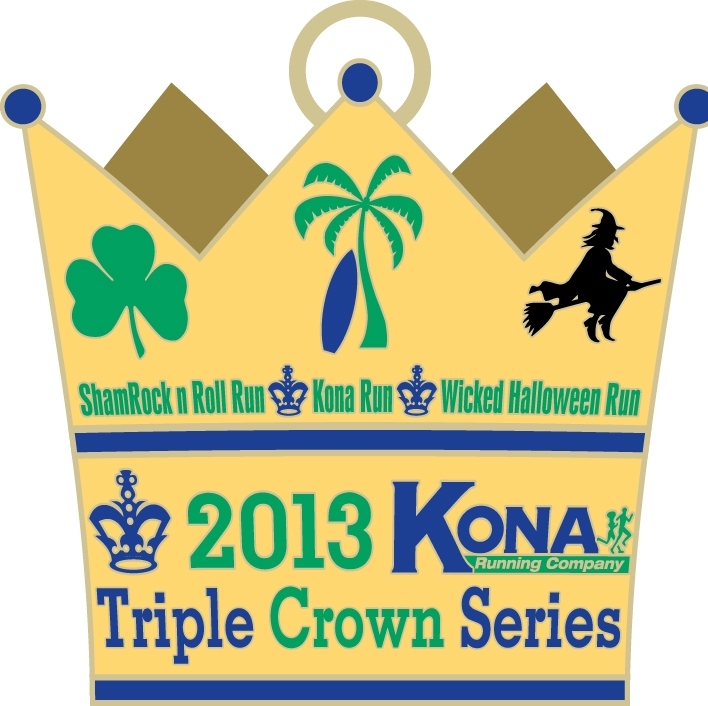 Rest day on the schedule today in preparation for this race although I'll just be running this as a training run. Are you dressing up for the race? A friend of ours has a group of races like this for many of the holidays next year. If you complete them all, I think the medals all form one giant medal, like puzzle pieces or something. I didn't dress up but I love that puzzle medal idea.